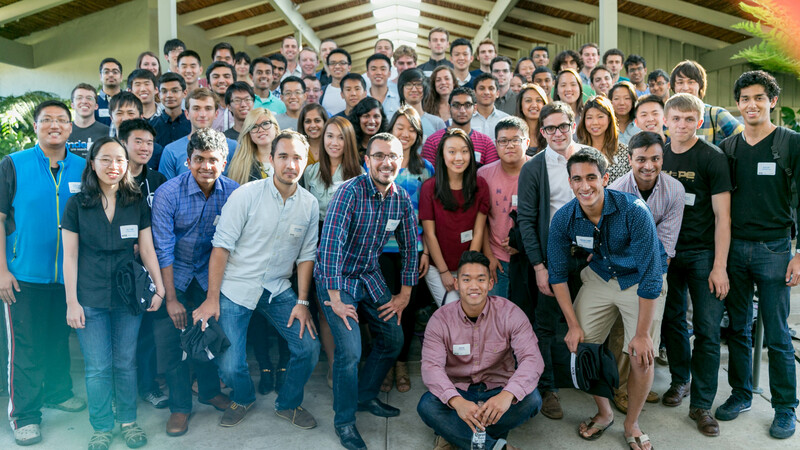 last november, i served as a judge for the bayes impact hackathon. like other hackathons, this 24-hour event tested the technical skill and creativity of the participants. but unlike other hackathons, this event embraced an additional dimension: social impact. in the last few years, people have noticed how data science can drive critical insights in the business world. now, people are turning their attention to the social importance of data science. and they are seeing that the programming skills that are in such demand in silicon valley can also help solve some of our biggest public problems. i’ve seen this in my own work, including helping to fix healthcare.gov last year and serving as an adviser to the u.s. digital service. today, with the rise of public data sets and new ways of combining the data, there are great openings for skilled engineers who want to make a difference. the team that won the hackathon, for example, built software to detect hidden child prostitution rings. the team was working on behalf of thorn, a non-profit with the mission of becoming “digital defenders of children.” one of the runner-up teams created an algorithm to more efficiently position police cars to respond to 911 calls. others went to work on problems that ranged from water conservation to workplace safety. what was amazing about the hackathon was how undeterred all of the participants were. they didn’t mind if the problem they were taking on seemed intractable or was in a field that is highly regulated. they simply went to work, bringing to bear all of the persistence and creativity they could muster. and as we know from hackathons, a great team – even in the course of a single weekend – can accomplish a lot. we’re all busy – but even the busiest among us has spare cycles. one of the members of that winning team at the hackathon? none other than peter reinhardt, who in his day job is ceo of segment.io, a customer analytics company that has raised more than $15m in venture capital funding. so you don’t need to give up your day job to change the world. just get started and you’ll find a way. this event has inspired me to focus my next sw project in the area of ‘hacking for social impact’ and hope to post my project soon! 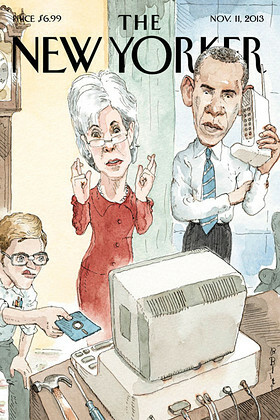 1/ consumerization of healthcare. we as consumers bear more of the cost of our healthcare than ever before (the avg deductible is now $1200, up 2x from 5 yrs ago). as we navigate the healthcare system on our own paying out of pocket, we will vote with our $ for good experiences at affordable prices. this creates an enormous opportunity for innovation. 2/ software finally making inroads in healthcare. nowhere is this more obvious than with the ubiquity of mobile for both patients and doctors. mobile sw stands to improve access to care and improve inefficient workflows. 3/ opportunity for impact. healthcare is one of the largest sectors of our economy ($2.7 trillion! ), and yet one of the most inefficient. great entrepreneurs and software teams are increasingly attracted to the opportunity to do things better/faster/cheaper in healthcare and have a real impact on human lives. it’s against that backdrop that i’m excited to share kpcb’s series a investment in spruce health, where i’ll be taking a board seat. spruce is re-inventing healthcare delivery in a mobile world. ‘telemedicine’ (connecting patients with care providers for remote diagnosis and treatment) is finally taking off, but is still in its infancy relative to the opportunity. spruce’s approach is distinctive, and i think it’s reflective of where the industry will go — moving beyond access to focus on quality and innovation. not content to be simply a communication channel paired with a md network, spruce wants to be a better way to see the doctor. they work with top medical advisors to build out — one medical condition at a time — comprehensive care experiences that use software to innovate upon everything from how you visit with the doctor, to how you get your rx, to how you follow your treatment regimen, to how follow-up care occurs. building out high-quality, comprehensive experiences uniquely tailored to each medical condition requires focus. so while the team at spruce have broad ambitions, they launched last fall supporting a single condition – the treatment of acne by board-certified dermatologists. both patients and dermatologists loved the product, and today they are announcing support for a broad set of dermatological concerns beyond acne. the product solves a big problem: skin concerns are the #1 reasons for visits to the doctor in the US, and yet the wait time to see a dermatologist is 29 days and both patients & their doctors complain about communication and adherence in traditional care settings. i’m excited to be along for the ride with the spruce team as they continue to build out their vision. this is a uniquely strong product, design, and engineering team who built highly successful products at aws, fb, twitter, and other top engineering orgs. i look forward to seeing more teams like them tackle healthcare head on – as a country we need it. we live in a world awash in media, from music to photos to home videos to tv to movies. we may download the media, or stream it, or create it ourselves. it’s a world of unparalleled choice, in our living room and on the go. but accessing and enjoying all of this media is not always easy. the amount of content keeps growing, stored in different formats and across devices. it’s difficult to remember where we’ve stored our media – and even if we do remember, often we have to take the time to move content from one device to another, especially when we share it with family and friends. we all want to access our content in a beautiful, elegant, intuitive way, at any time and on any screen. 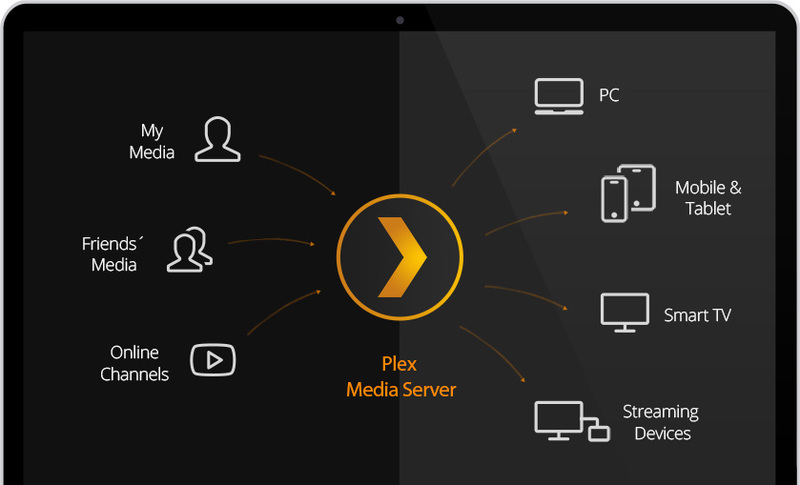 last year, kpcb invested in Plex, which developed a software-based home media server platform for consumers to manage their personal media. when we invested, the company was already profitable, seeking venture funding to accelerate growth and introduce Plex into even more households. since then, Plex has continued to take off. 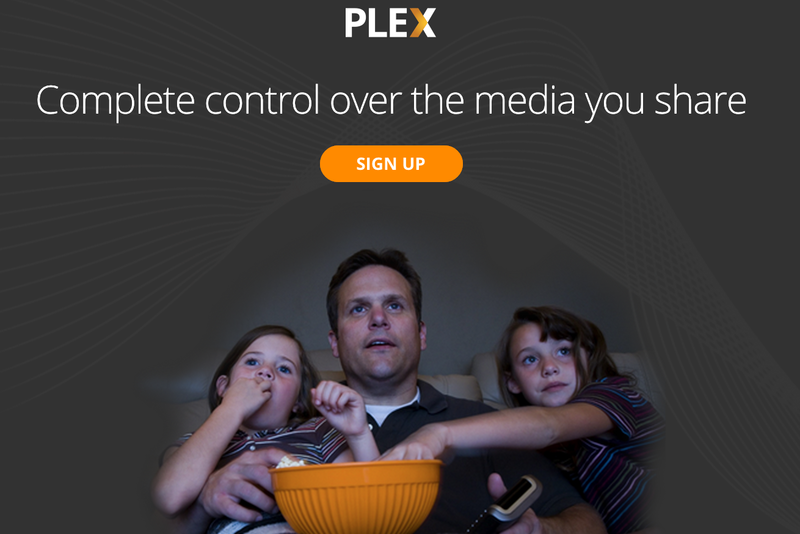 millions of users joined the service last year, as Plex more than doubled its revenue. much of the growth, like many of its employees, are from around the world. and Plex keeps adding features and partnerships, from its new apps for xbox and playStation to its integration with vevo to its state-of-the-art recognition software to help users organize their music files. and it has done so while seamlessly syncing thousands of terabytes of consumer media to mobile devices. Plex may transform the media landscape because it is developing a novel solution just as the problem is exploding. according to cisco, there will be more than 11 billion mobile-connected devices within the next five years – more devices than people. youtube users upload more than 300 hours of video every minute, three times the level two years ago. digital video sales are projected to exceed physical video sales next year. even mainstays of entertainment like espn and cbs are unbundling video. so it’s more important than ever that we develop technology enabling us to combine our files into our own personal media hub that we can explore and manage with the touch of a finger. with new funding, a first-rate team, and hundreds of thousands of new customers per month, Plex is taking the lead. big data keeps getting bigger. last year, VC firms invested $3.6B – 75 percent of what they invested in the previous five years combined. the pace has continued this year, with several firms announcing new funding rounds in the tens and even hundreds of millions of dollars. 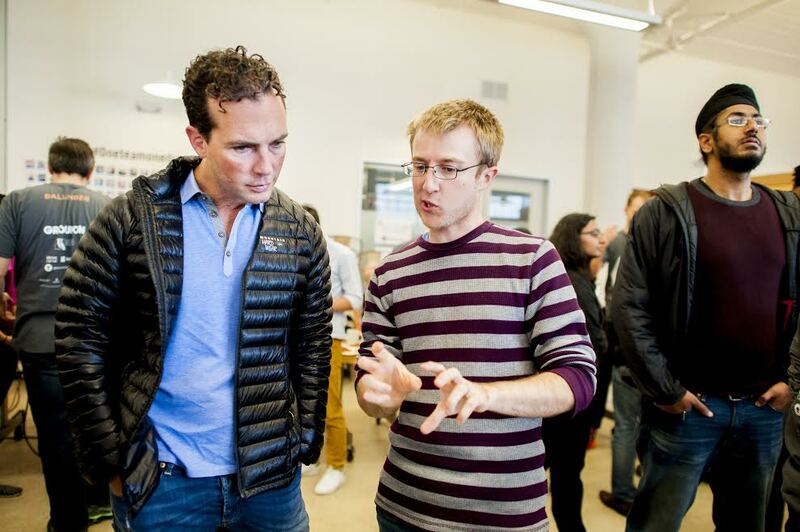 for aspiring big data entrepreneurs, it’s exciting – and intimidating. i meet a lot of smart, talented engineers who want to work in big data but don’t know where to start. i tell them to focus on an area where you can have a big impact, including feature engineering, mining email for B2B, applications for CRM, data governance, vertical integration, health care solutions – big data can drive health care savings of $300B according to a recent study – and tying into existing consumer properties such as facebook or linkedin to drive sales leads. other areas, like data visualization or databases, are important but saturated, though there may be an opportunity to build next-generation databases using time series data. still others, like personalization technology, are better for established companies like google and facebook that have the data to train their image and voice recognition models. once you focus and develop your big data idea, how do you turn that idea into a company? my advice in brief: be a painkiller rather than a vitamin, build and sell for enterprise customers, and remember that even with big data, less can be more. like so many entrepreneurs, i love the technical challenge of programming. i started coding in fourth grade and have never stopped. so i understand how founders can be enchanted by the technical wizardry behind their products, especially in fields like data and machine learning. but the corporate customers who are deciding whether to buy the product will be asking a set of questions with a very different focus. questions like: what’s the ROI here? will your proposed solution integrate well with our business culture? will it help move my production workloads? one way to stay focused is to remind yourself to be a painkiller, not a vitamin. vitamins are great, but painkillers are vital. use technology to build a product that customers need – now. i always ask founders in our first meeting why they made certain technical decisions. if you don’t know why you selected a particular technology and how your decision helps the customer, i would be hard-pressed to back your company. startups need to sell. in big data and machine learning, most customers will be enterprise customers. and most startups greatly underestimate what it means to be enterprise-ready. my two bits of advice: first, if you’re an engineer, be sure to work closely with a product person, business person, or CIO so that you understand what it really means to sell to the enterprise. as a venture investor, i often introduce people to one another for precisely this purpose. second, manage the gap between perception and reality. 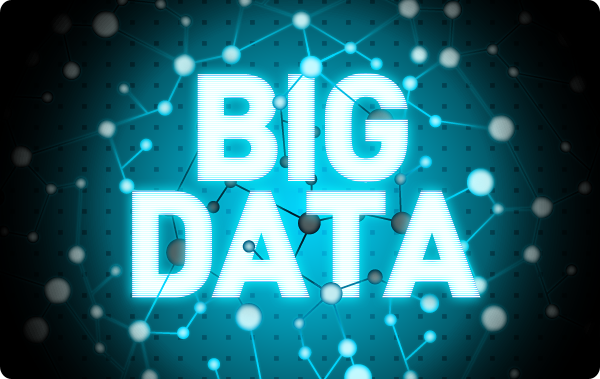 there are so many possibilities for big data, but there is also a lot of hype. manage the expectations of CMOs and CIOs so that you do not under-deliver at the start of what may otherwise be a lucrative long-term relationship. we all know how easy and efficient it is to store data today. in three decades, the cost of storing a gigabyte has gone from thousands of dollars to a few pennies. but now people have a tendency to store data without knowing how they want to use it. at some point, you enter a “data obesity” state where data storage, maintenance, and upkeep cost too much and slow you down. even in a data-driven world, you shouldn’t default to storing every bit of data. instead, stop and ask yourself: do i have an idea of how i or somebody else in my company wants to use this data in the future? 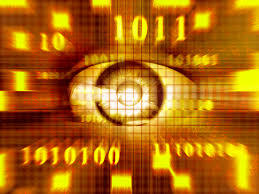 data storage still consumes energy and resources. before you store data, consider whether it will ever help you make a decision or deliver a product or service. whether it is the onrush of data from sensors, advances in machine learning and deep-belief nets, or new modes of virtual reality, we are swimming in new information and need to imagine what will create the next wave of extracting knowledge and insights from all of it. as i learned at twitter/cloudera/composite software/microsoft, building tools that allow more people to access and ask questions of the data enables everyone to make better decisions more quickly. as an investor, i often wonder: what are the new opportunities that will be created that we haven’t even thought of? designers and engineers need a deeper understanding of each other’s craft to create truly great products. i’m convinced that engineers need to understand the experiences designers aim to create, even as designers need to understand just know how engineers will make those experience come to life. when the two groups interact for the greater good: they build phenomenal products, with minimal time resources. 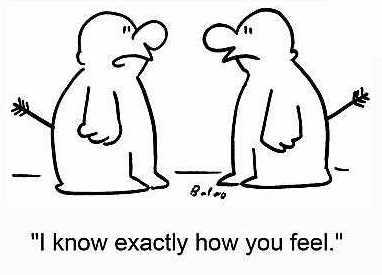 it’s all a matter of empathy — loosely defined as understanding the feelings and thinking of others. during my time leading engineering and design on webOS, and later at Twitter, i’ve learned that empathy is core to a product team’s ability to move quickly from designers’ “what” to engineers’ “how.” said differently, a designer knows what to make, and an engineer knows how to make it. when they overcome the communication barrier that separates the what and the how, good things are certain to come. at palm, for example, we had to deliver a complete reset of webOS, moving the entire platform to a web-centric model. to do that, we put together a unified group of four teams: one team on the kernel, another on the apps, a third on infrastructure and the fourth on design. by working as a unified group, the engineers could empathize with what designers wanted the experience to be, while the designers understood the constraints of the OS. and because of that empathy, we delivered an entirely new webOS in less than a year. we had achieved a virtuous cycle of product design, the goal of every product company. the notion of deep, cross-discipline understanding isn’t limited to software development. it can be just as effective when developing hardware, hardware/software systems, and even for manufacturing. it’s not even new. design for manufacturability and assembly methodologies – where designers actually consider whether their designs can be easily assembled and built – have been around for decades. but without empathy — where the different roles innately understand each other’s goals, assumptions and constraints — those cross-discipline development teams are still prone to misunderstandings and delays. recognizing that there is craft in the what and the how is key – and for the leader to help their design and engineering teams seamlessly understand each other is key. which brings up the question: how can people with different mindsets and goals understand each other’s thinking? my colleague john maeda, who also happens to live at the intersection of design and technology, suggests early stage companies let designers code and engineers design. while not everyone can make this crossover, those who do will bridge the groups and help accelerate development. i’ve lived in the valley long enough to see these kind of hybrid design/engineers make a huge difference in companies and now in the startups that they are founding. for even slightly more mature companies, i believe it’s the leaders who have to crossover and interact with other teams. they become the bridges who make sure everyone’s on the same page, with the same understanding of goals and constraints. and they also make sure design comes at the beginning of the process. without it, empathy becomes a one-sided proposition, and that just won’t work. so it’s not enough for a leader to keep the “why” in focus for everyone anymore – they’re going to have to get their hands dirty in the what and how, or at least serve as a solid communication bridge. it’s human nature to prefer order over chaos. as a general rule, people want everything to be calm and predictable. we are generally as a species uncomfortable with turmoil. ironically, in the tech industry upheaval is valued – we love turmoil. as entrepreneurs and venture capitalists, we’re on a constant hunt for new ways to disrupt markets and upend the status quo. the companies that we launch and fund are in a nonstop race for more engineers, more customers, and never-ending revisions that challenge the edges of the CEO’s sanity. working at these places can feel like riding a one-way ticket to crazy-town: an absolute sh*tshow of disorganization with no panic button to be found. yet here’s the thing. If the environment at a startup isn’t crazy, then something’s wrong. It may seem counter-intuitive, but chaos is an essential ingredient in a startup – it is what catalyzes the innovation. think of it as a necessary state of brownian motion where ideas collide with other ideas as fueled by deadlines and desperation. there’s a limit to the chaos, however, and you immediately see what that looks like because products stop shipping. time/ fall too far behind a deadline, and you could miss a critical service level agreement. scope/ allow unchecked scope creep, and you could end up with a bloated mess satisfying no one. quality/ let quality decline, and your company’s reputation could get permanently damaged. great leaders know how to keep the chaos driven by these three factors in balance, and constantly modulate the demands to make the chaos manageable for their company leaders and employees. today, i’m going to riff on a topic i haven’t written about before, but has interested me for years: computer vision on mobile phones. i believe advances in computer vision — combined with the compute power we now take for granted on our cell phones — could improve people’s lives in ways most of us haven’t imagined. i’d better explain how i reached this conclusion. scientists have known for years that increased blink rates are a great predictor of tiredness or fatigue. that fact came in handy when i wanted to figure out if my 4-year-old daughter would go to bed at 8pm or at 9pm, since that usually meant a big difference in her bedtime routine. i decided to build a mobile app that would record her face and let me count how often she blinked, helping me predict when she would fall asleep — and making a happier evening for parents and child. that’s a pretty simple example of what I mean. cardiio is a more-sophisticated app that leverages mobile phones’ cameras and compute power. hold up your iPhone to your face in a well-lit area, and cardiio uses the front-facing camera to look at the capillaries on your cheeks. the app then measures the light that’s being reflected to determine your heart rate — useful for tracking fitness levels, calorie burn, and even estimate your life expectancy. i should mention i don’t have any investments in cardiio or any other mobile computer vision app. i just find the whole space really interesting. MIT, for example, has developed computer-vision algorithms that can tell the difference between frustrated and pleased smiles. now imagine mobile apps that interpret shoppers’ smiles and help retailers fine-tune their merchandising. retailers could also use mobile apps to analyze foot traffic for optimum cross-selling and impulse buys. and thanks to community efforts like PubFig and Labeled Faces in the Wild, computer vision software can recognize faces — with a high degree of confidence — across a wide variety of poses, expressions and conditions (recent NYT article on the advances). it won’t be long before that capability shows up in commercial-grade mobile apps. mobile computer vision can also help us model our environment and improve crop yields. for years, scientists have been finding new ways to use near-infrared reflectance spectroscopy to detected crop mold and fungi contamination and insect infestation. it’s easy to imagine drones fitted with infrared cameras detecting early signs of infestation. and then there’s augmented reality — potentially giving humans a sixth sense for understanding the world around us. Google Glass may be the best example so far, as developers continually add new apps that overlay information on what the wearer sees. But I wonder about the effect this sort of enhanced vision has on us. if you wear Oculus for seven hours, does it rewire your brain? for pro and con, mobile computer vision could have a dramatic impact on us and the world we live in. here is a fun application of a convolutional neural net that i setup with caffe last weekend.